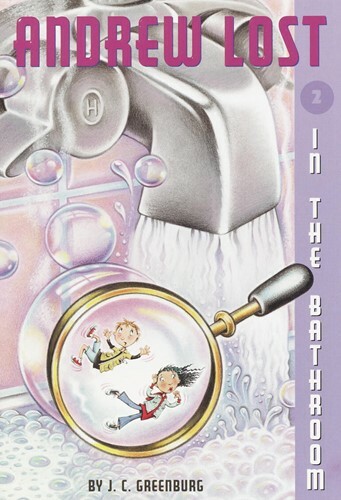 When Andrew and Judy’s neighbor gives her dog a bath, microscopic Andrew and Judy find themselves washed off the dog and lost in the bathroom! They’ll have to use their wits–and Thudd’s storehouse of facts–if they’re to survive run-ins with mold, mildew, an ocean of soapy water, and a predatory spider on their way back to the Atom Sucker. From the Trade Paperback edition.